It was never done before! During Spring Agora Bergamo we presented all the past recipient of Local and Member of the month from Autumn Agora Kyïv. 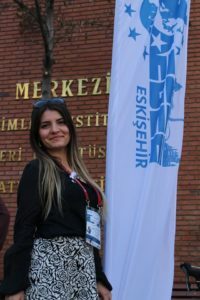 Among those there was Suzan Dilara Tokaç, from AEGEE-Eskisehir, who discovered she won the award for the Member of the Month of April live, during the closing plenary. 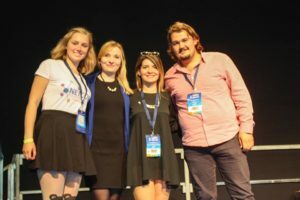 She was nominated for her outstanding work in her local and her contribution as a team member for the first edition of the AEGEE Day. 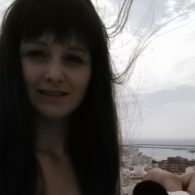 Suzan: I am Suzan Dilara Tokaç, a 26 years old devoted volunteer, activist, student, teacher, therapist, consultant, art-lover, environmentalist. Volunteering has been covering a great part of my life: since my early years I’ve been a part of different types of projects, international teams and groups. 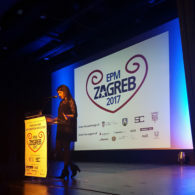 My first international project was about improving health conditions for primary schools supported by the European Union, in which I took part when I was 9. My elementary and high school years continued with various other events and activities. 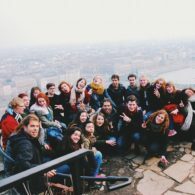 Then, in the very first day of my university I met AEGEE and I have been a member ever since (nine years!). My love for kids, their energy and enthusiasm to share knowledge led me to the department of teaching on the subject I like the most: English. After four years of studying, I wanted to go one step further, not only doing a postgraduate study but also doing it in another field. I’m almost done with my MA’s on Speech and Language Therapy program. I love dancing, it’s like a passion for me. Just like many of us, I like traveling, but sometimes I take it so far that I arrange all my plans according to my travel agenda. I am also a big collector, I keep everything from my travels: from napkins in restaurants to bills, tickets, vintage pins, coins, stones from the cities and sand and water from the seas. What did it feel like to be awarded with the title of Member of the Month of April? 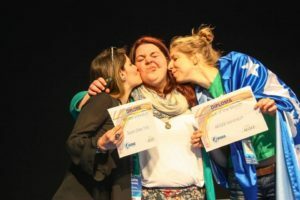 I have devoted a great part of my life to AEGEE. All my family and friends know that I have strong bonds towards the members and activities. My motivation has always been sharing, caring and leaving a remark on people’s lives and consequently on the Earth we are living on. Although it seems something small, the award makes all the effort and seconds I spent for this family priceless. You were nominated also for your great contribution to your local, AEGEE-Eskisehir. What is the thing that motivates you the most? Eskisehir means a lot to me. I was just a child the first time I entered this city and it made me the person I am today. I became a teacher, therapist, friend, lover, helper, trainer, traveler, student, and AEGEE’s role on this process is the biggest one. So, why not honour it? Another reason to your nomination was the AEGEE Day. Why did you decide to join the team? How would you describe the Day? 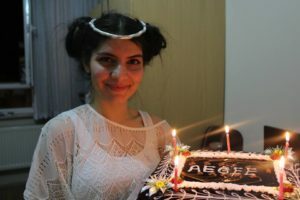 Last year I was the Public Relations Responsible of 30 years of AEGEE, Night of Seven Antenna in AEGEE-Eskisehir. 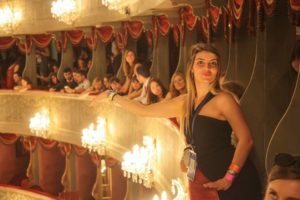 That experience was one of the best in my AEGEE life, with the concept, thematic part, shows and the fun. 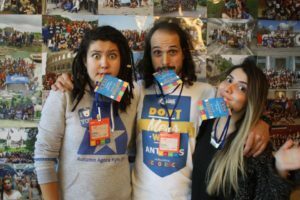 When I saw the “AEGEE DAY” project, I said ‘woooow! 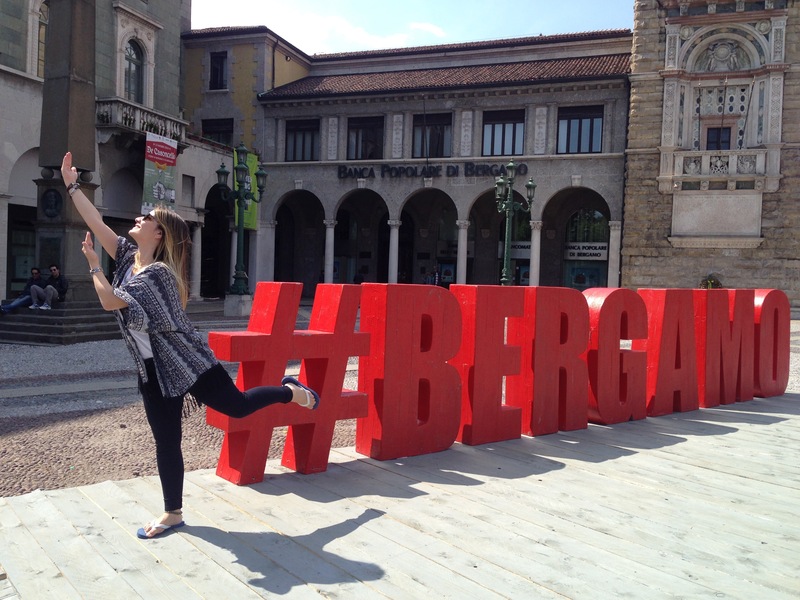 One step further!’ A celebration all over Europe, all over AEGEE with a great theme and team. I couldn’t resist to be a part of a project with such a rich and quality content. I am always open to new ideas, projects and innovations, so I am really thankful to be part of it and taking it one step further. 79 bodies joined us on the AEGEE DAY and I hope 2nd edition we will see three digit numbers. Our DAY, well WEEK is a better call, was very productive, educative and for sure borderless. There is always future for you in AEGEE. You can always go one step further and I want to take them till 35 possibly. I want to bring life to one of my thematic project ideas. Also, work for our organization’s sustainability in the necessary positions in the name of projects, initiatives and creative ideas. 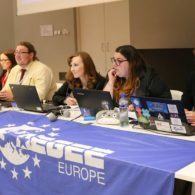 What I like the most about our organisation is that there is never a limit in AEGEE. Development, ideas, self-improvement, projects and activities are only limited with our imagination and motivation. On the other hand, as we always say ‘we are such a big family’ that we sometimes forget our neighbours. We are so focused on our own projects and domestic affairs that we underestimate the relations with other NGO’s, groups and associations. Of course we have other partners or collaborators but they are either too local based or mostly in Brussels that not many other AEGEEans are aware of their existence.